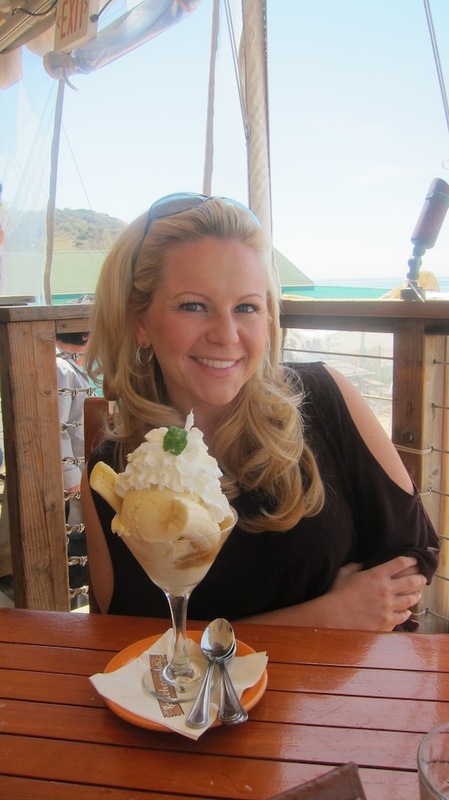 The Daily Dish~ Newport Beach California! I hope everyone is having an amazing week so far! 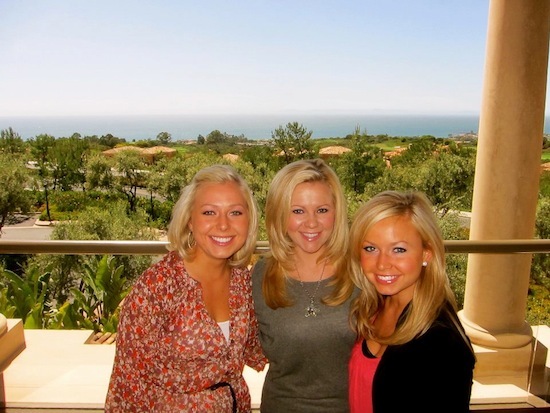 I just returned from sunny Newport Beach California, which was a sister's trip to celebrate my sister Sarah's 30th birthday! It was such a blessed time that we had together, and I can truly say that there is no greater friend than a sister! We stayed at my sisters condo for the week, which is right in the heart of Newport California, and it just so happens to be a temporary 'home' for my sister and her husband as they moved out there short-term to help people get established in their business. This was a view from her place! AMAZING view!!!! We started off the week with whale watching! We also saw tons of dolphins that followed our boat as we traveled out deep into the ocean find a whale! 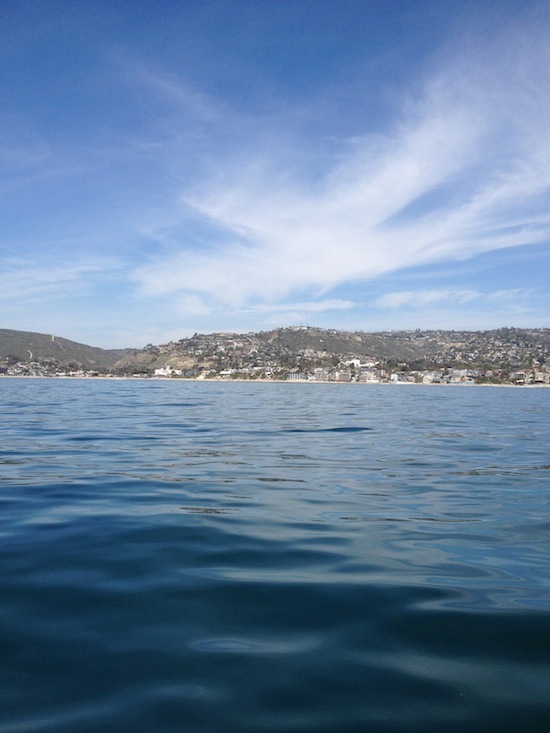 We could see Laguna Beach among many others from the boat as we were on the water. It was Beautiful! We also went to Beachcombers, one of the most popular dining experiences in the area. You get to sit out on a deck right on the beach while enjoying some amazing food! We went for brunch, so I got an egg white omelet with asiago cheese! The beaches there were beyond incredible, and the weather was in the 70's and sunny all week! We went shopping a few different places, but some of my favorite shopping was in the small boutiques and in Laguna! 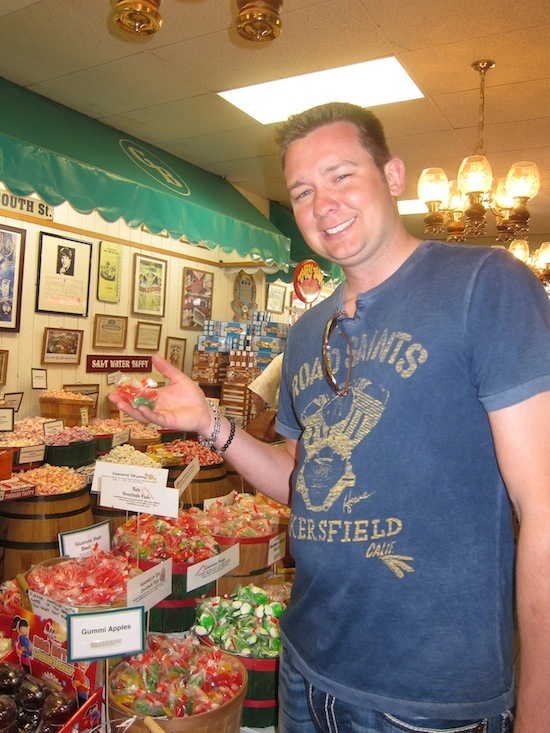 Take this candy shop for example...It was so much fun because it was so unique and it brought me back to my childhood for sure! There aren't many places like these any more! My sister Sarah also brought us to one of the most beautiful mall's in Newport, and much to our surprise, she ended up treating us to a shopping spree, (on her birthday week no less!) When she brought us into the Louis Vuitton store, Emily and I didn't even know what to do! 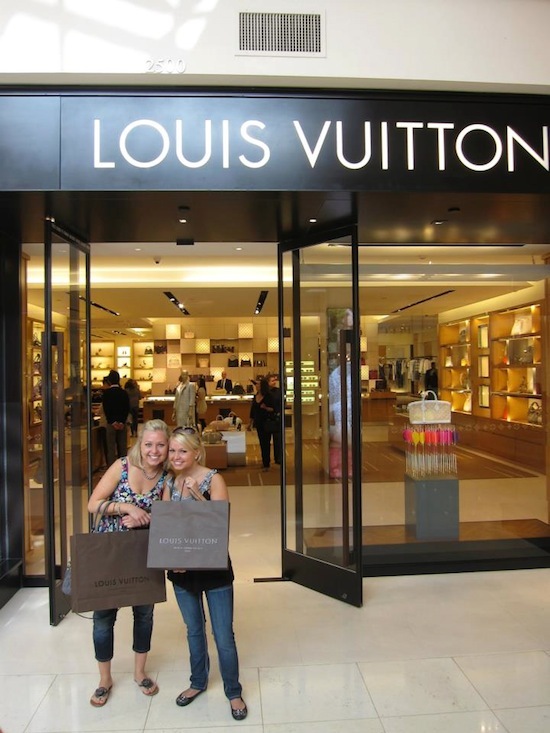 I have never been on a shopping spree where I could buy whatever I wanted, much less go into a Louis Vuitton store! After that shopping experience we were starving! :) So, we went to Cheesecake Factory with our new 'matching' purses! It was so much fun! 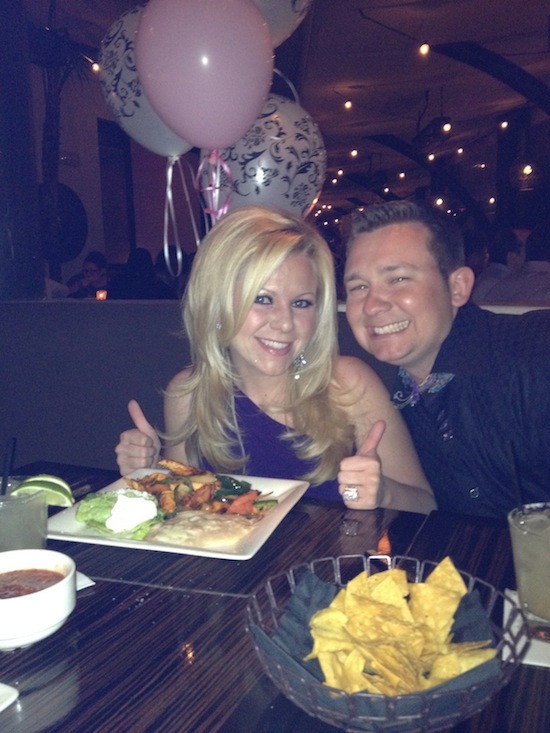 I got the Mexican Salad off the "Skinnylicious" Menu, it was delicious! There are so many great healthy options on that menu! 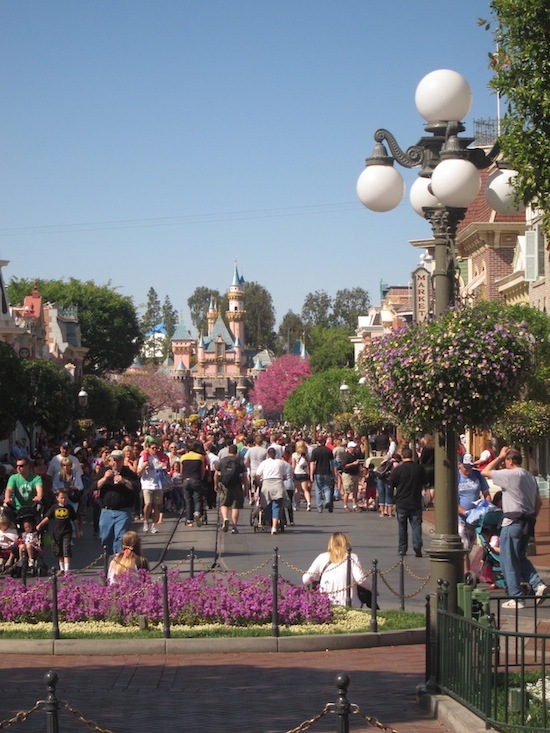 We spent one of the days in Cali at Disneyland! It was by far one of my favorite days. 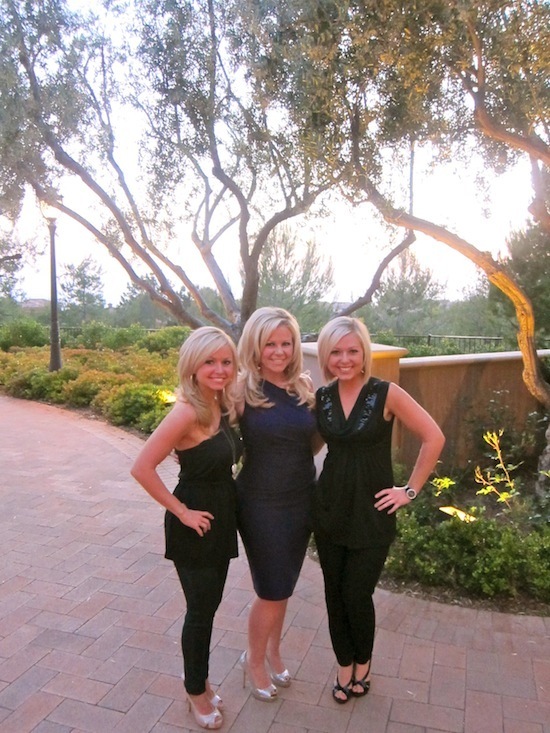 My sisters and I had never been before, so it was a real treat. My brother in law got us girls a VIP tour guide, which was an awesome way to experience the entire park in one day...She got us straight on any ride/attraction we wanted without standing in any lines! And a light show at night. So incredible, as Disney always is! 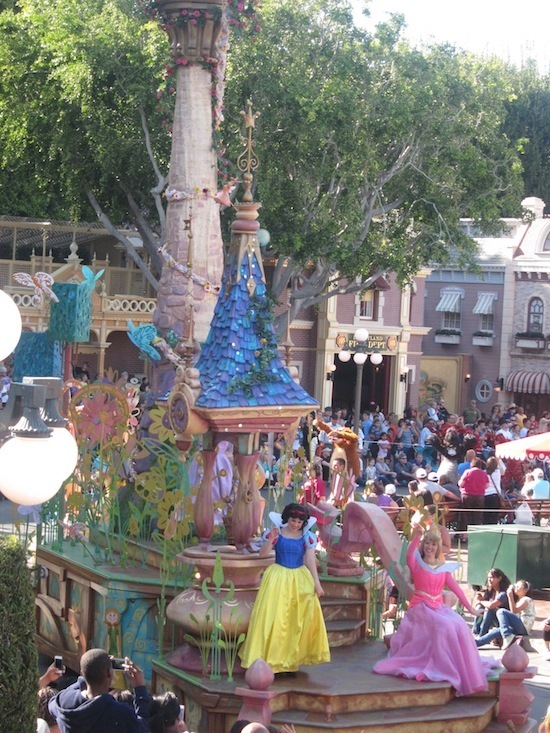 If anything could possibly top Disneyland, I think it could only be a hot air balloon ride! We woke up extremely early to watch the sun come up for my sister's birthday from none other than a hot air balloon! This experience was so incredible. It truly opens your eyes to the majesty of God. He is an incredible artist!!! I would say that everyone must take a hot air balloon ride at least once in their life. We finished off the day with a trip to Sarah's favorite restaurant in Newport, Javier's Restaurant, an authentic Mexican restaurant. We all got the Chicken Fajitas....They were SOOOO good! For dessert we got Sprinkles cupcakes delivered straight to the restaurant. 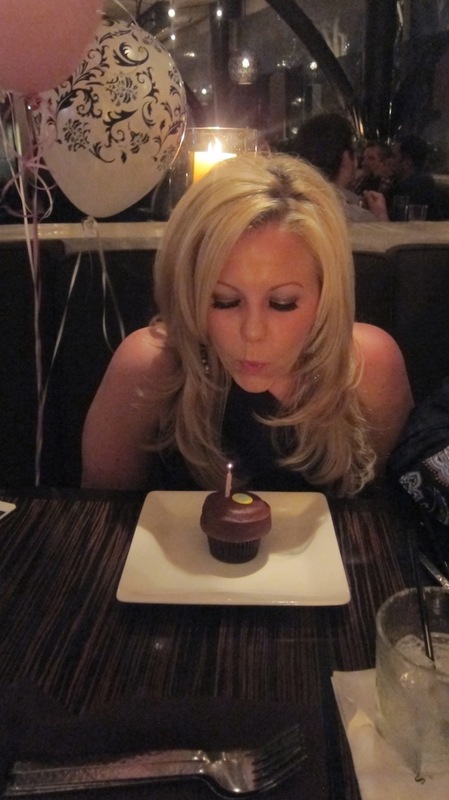 It was such an awesome surprise for Sarah since the banana cake is her favorite cake on earth! We finished off the dinner by giving Sarah her gifts...She opened the book that Emily and I made her with letters from friends and family! It was a tear-jerking moment for sure! It was a really neat to watch her read letters that poured back into her, since she is always so busy thinking about and blessing other people before herself! I am so proud of my sisters for so many reasons, but I can truly say that Sarah is one of my greatest inspirations because she truly spends her life looking to bless other people! Spending one week with her has made me realize the tremendous impact that we can have on others by simply putting others before ourselves. That is what Christ did when He gave His life for us...And if we are to live as examples of Him, then there is no better way to represent His love than to serve others!